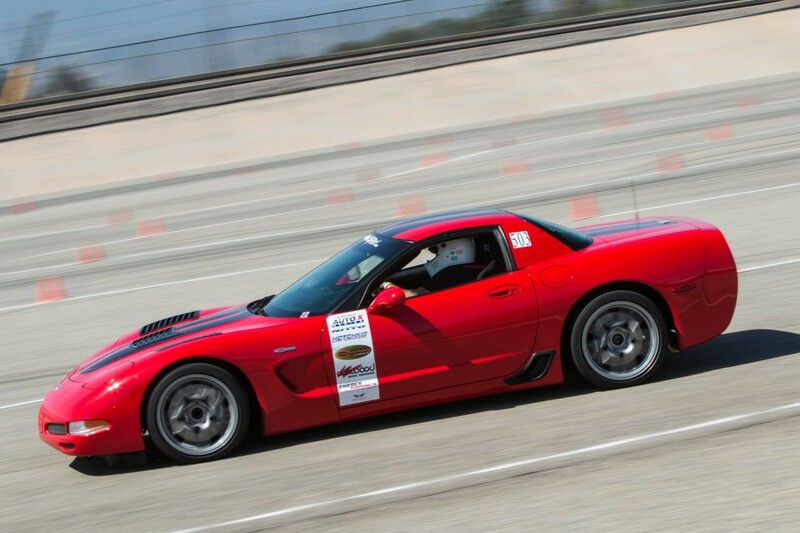 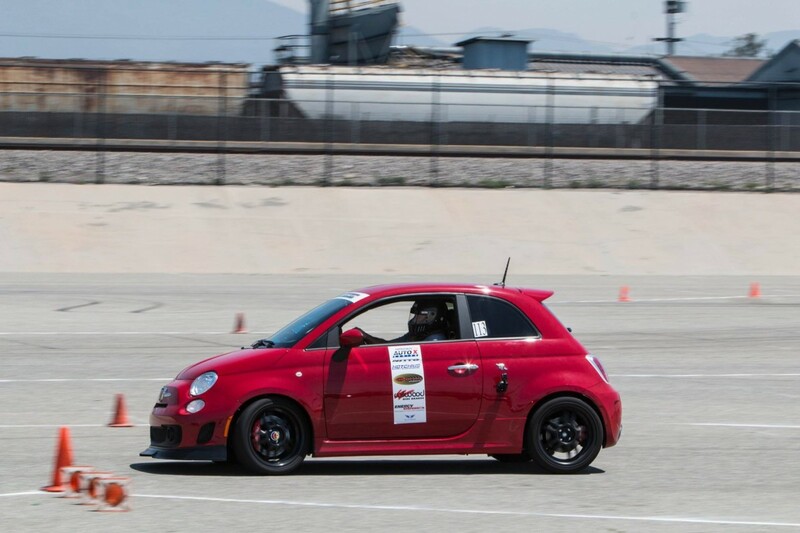 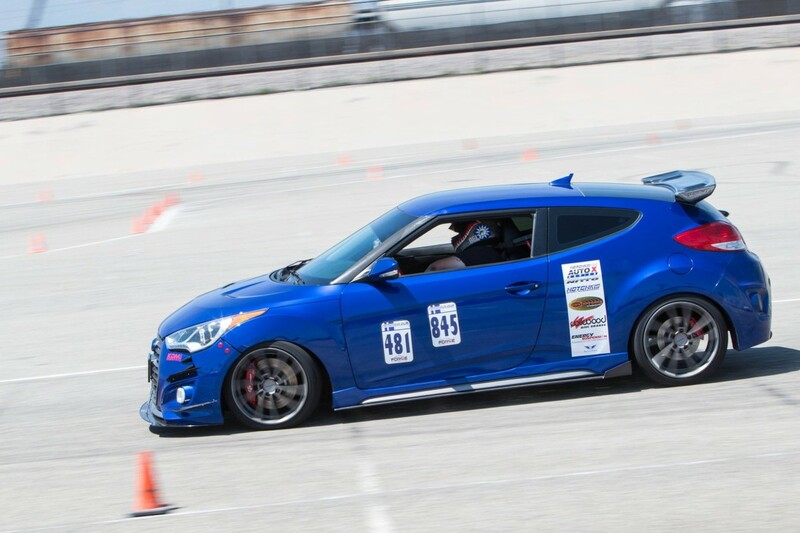 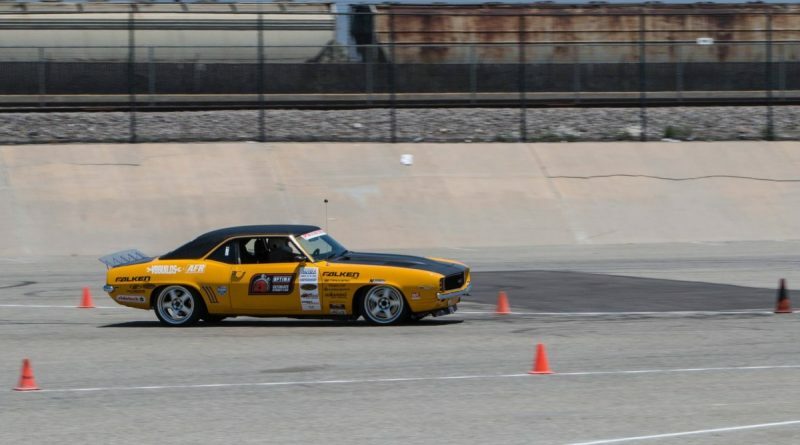 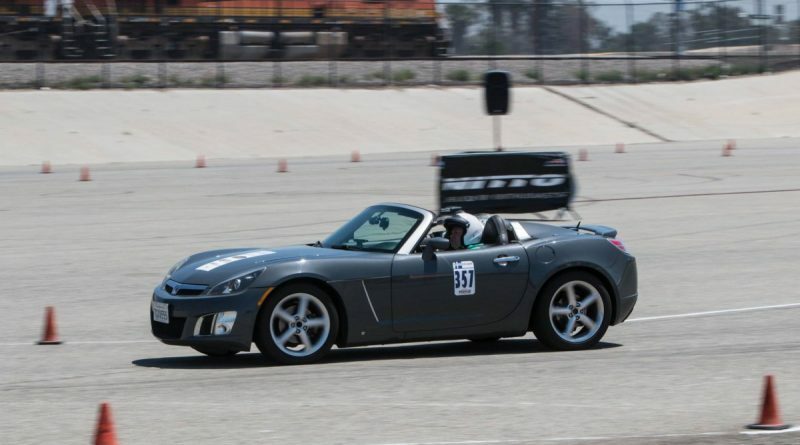 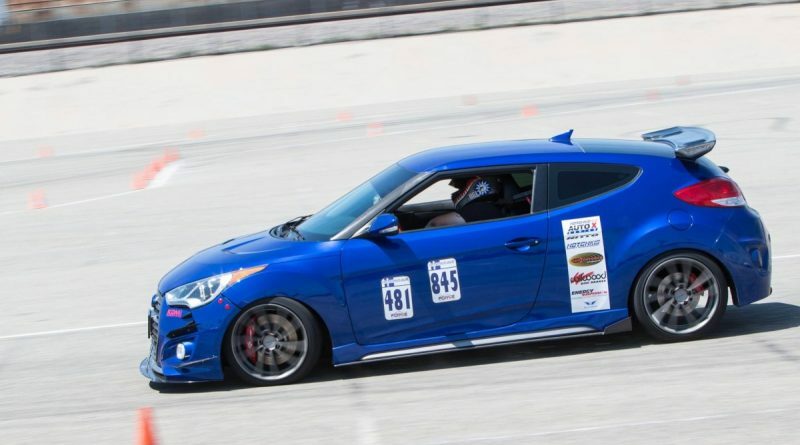 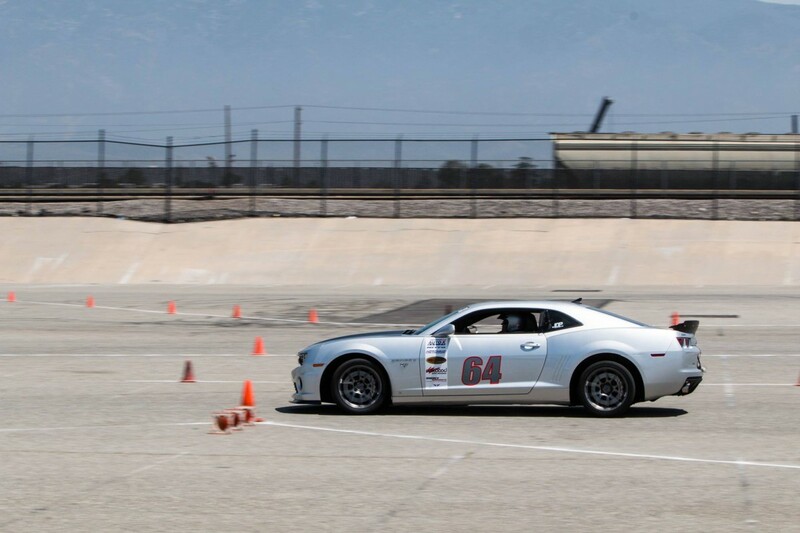 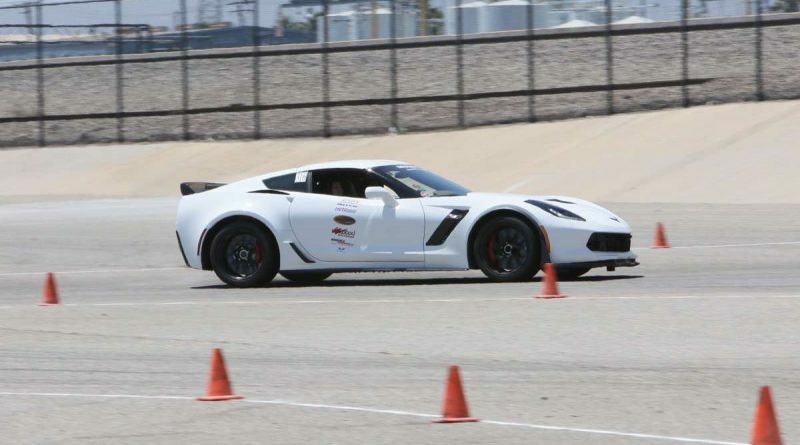 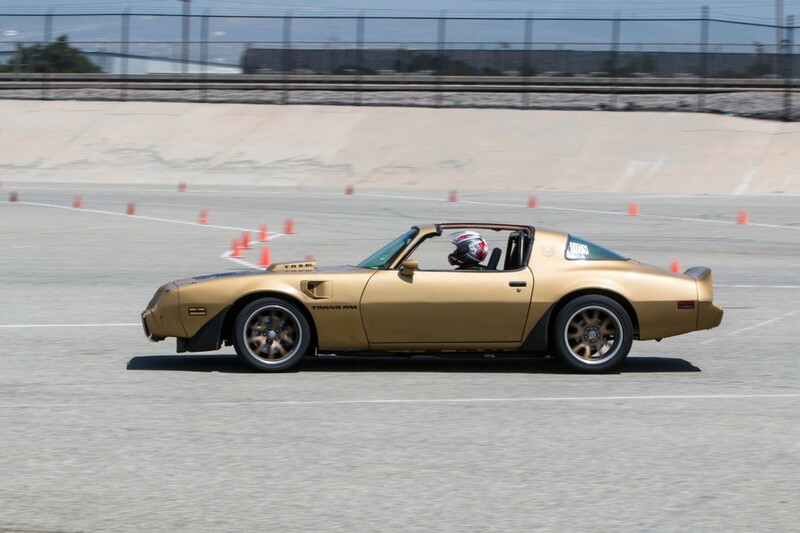 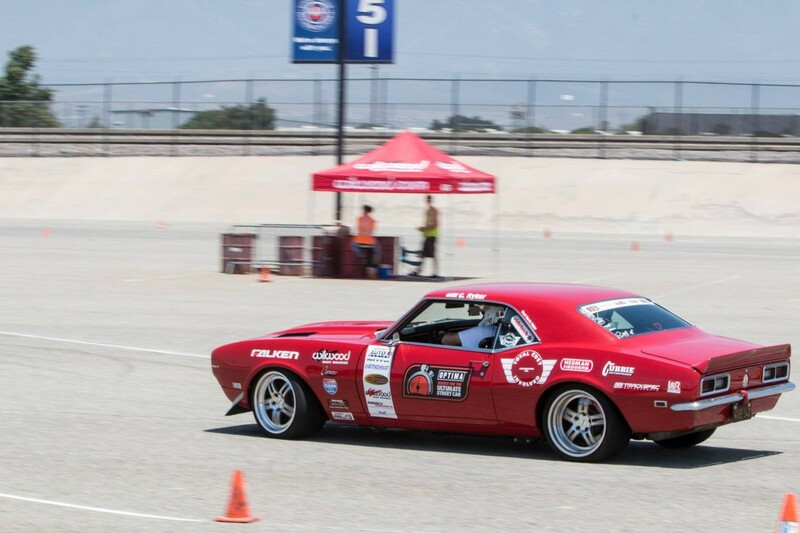 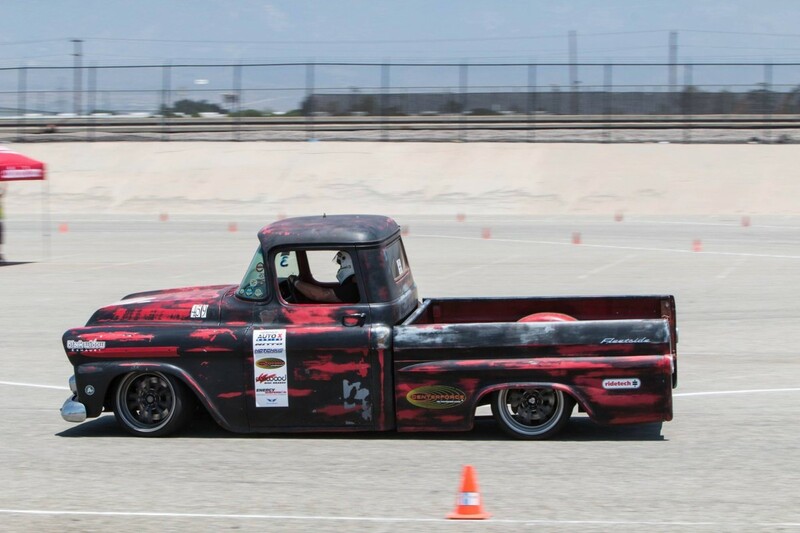 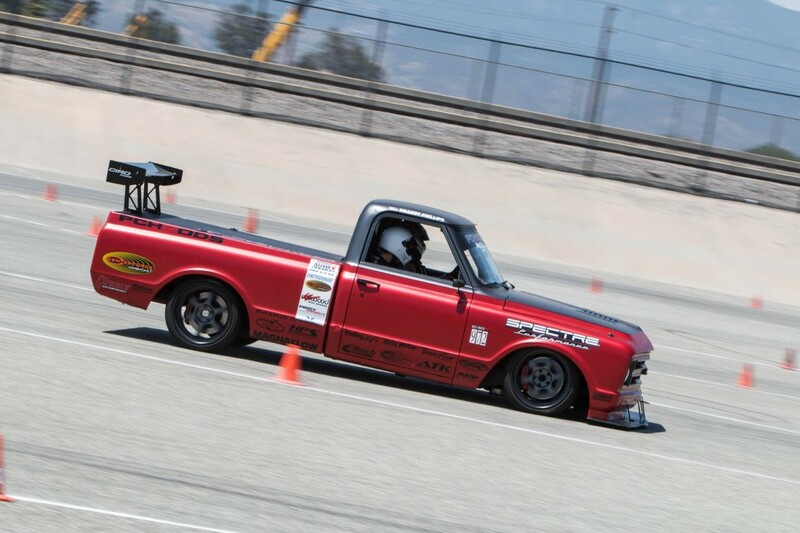 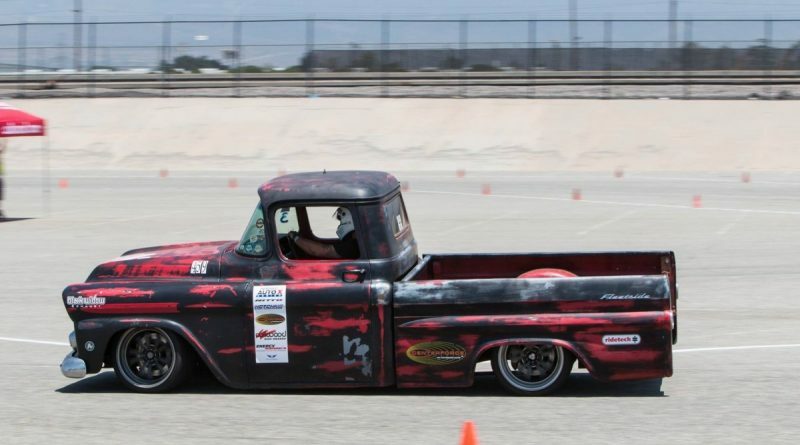 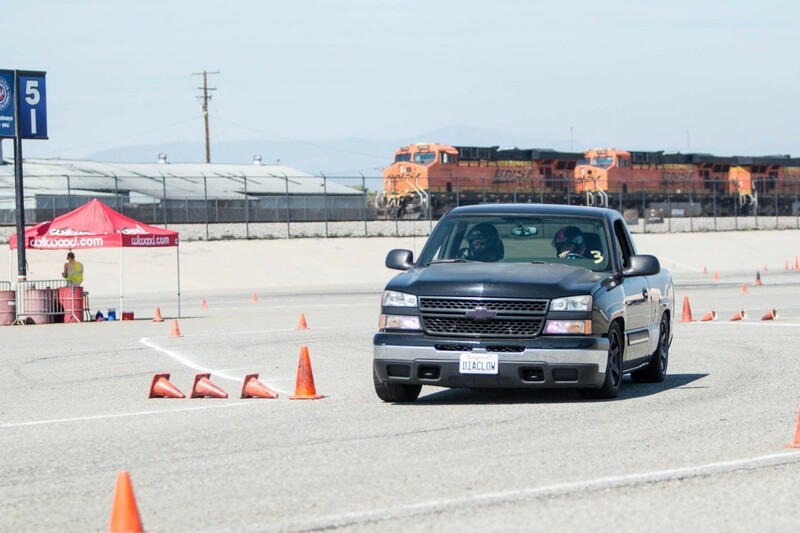 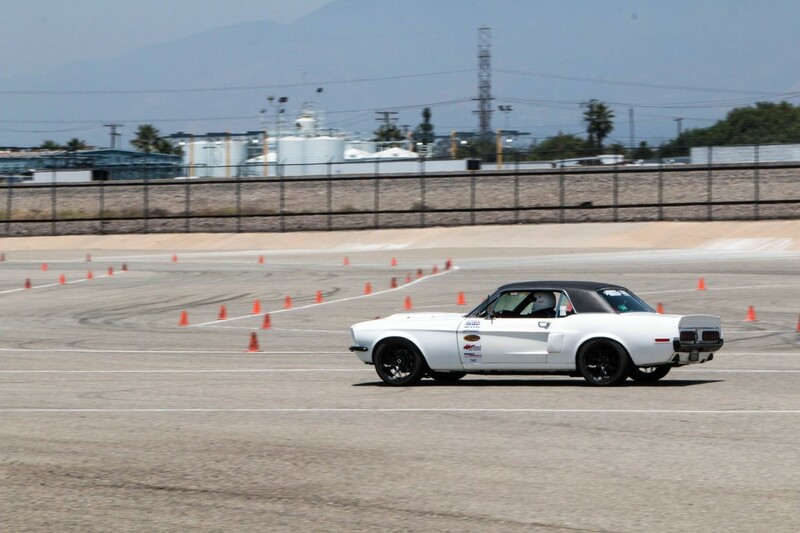 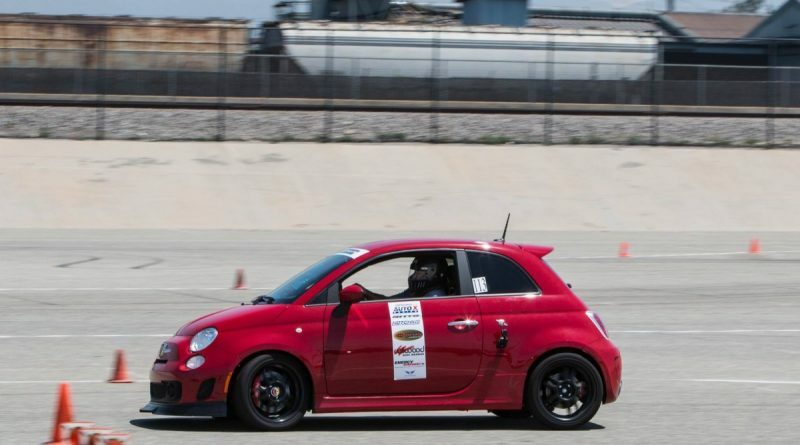 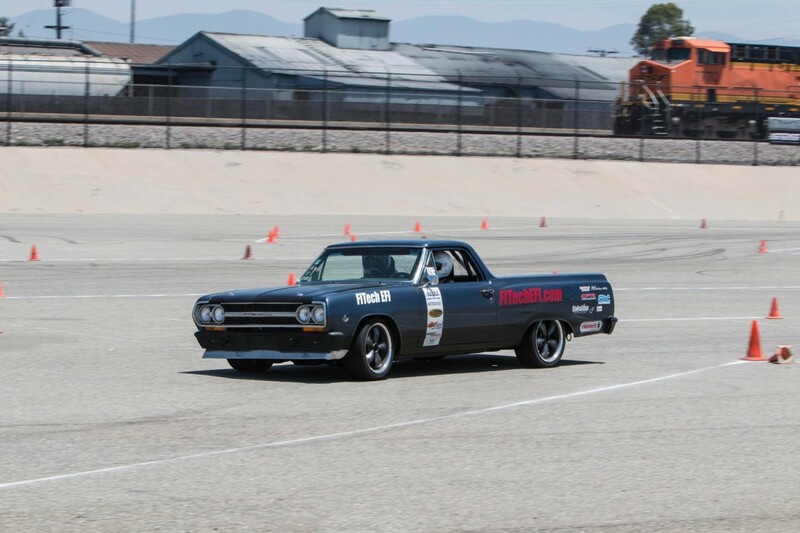 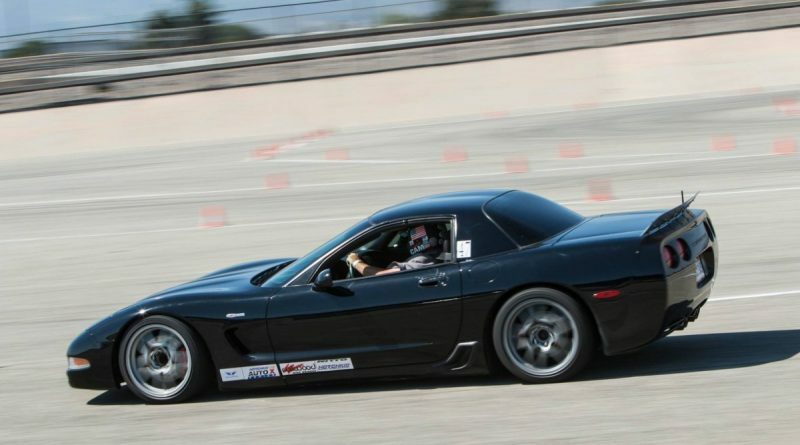 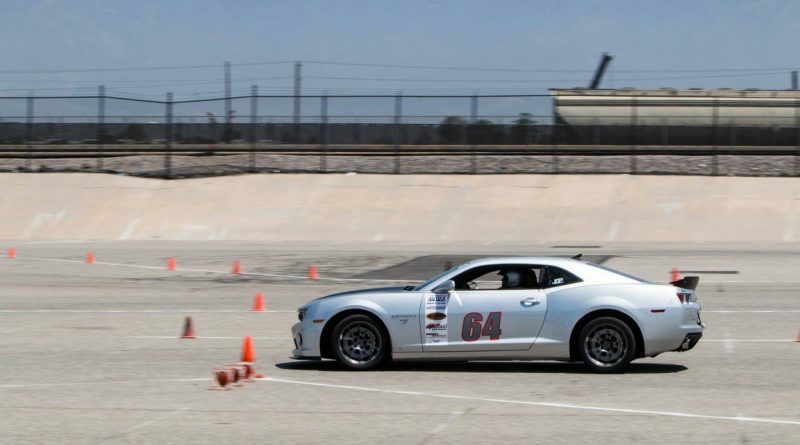 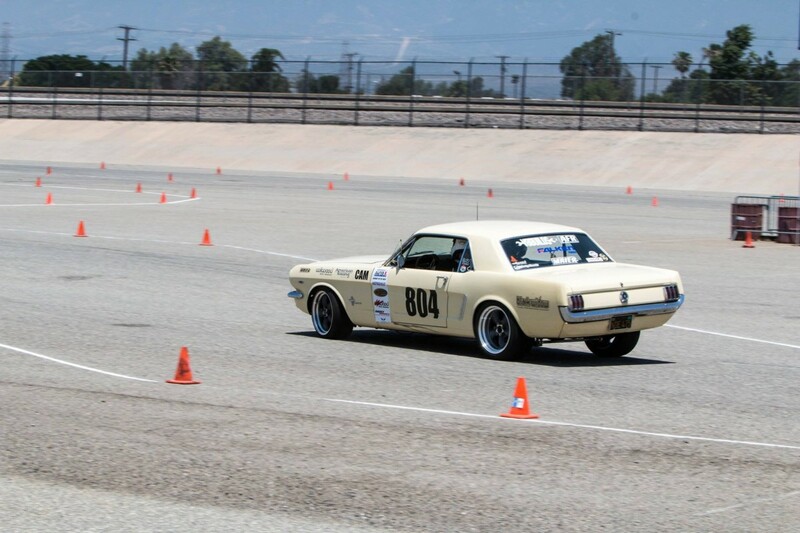 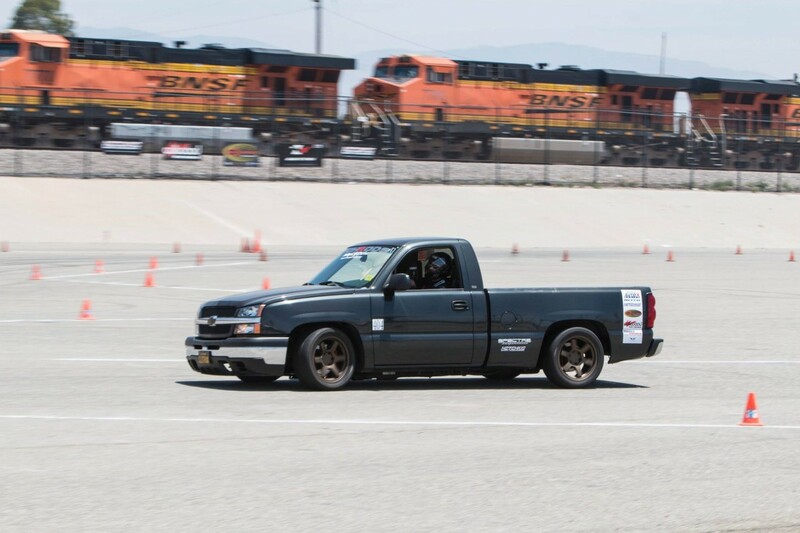 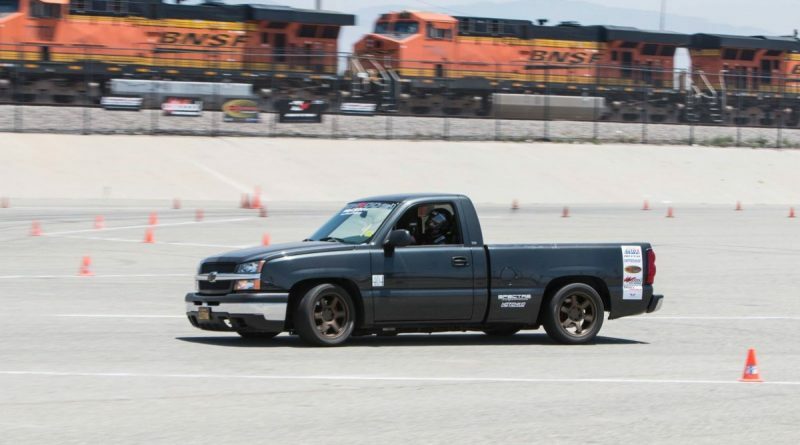 In June the NMCA West Hotchkis Autocross returned to Auto Club Speedway in Fontana CA. 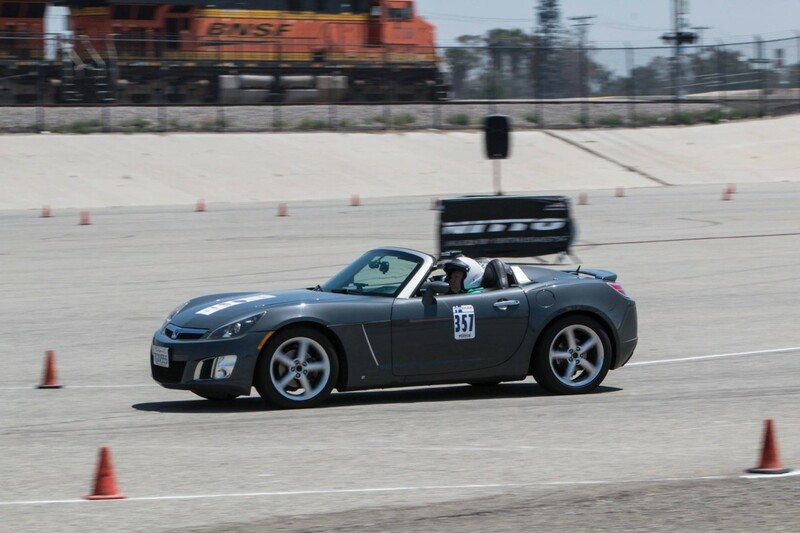 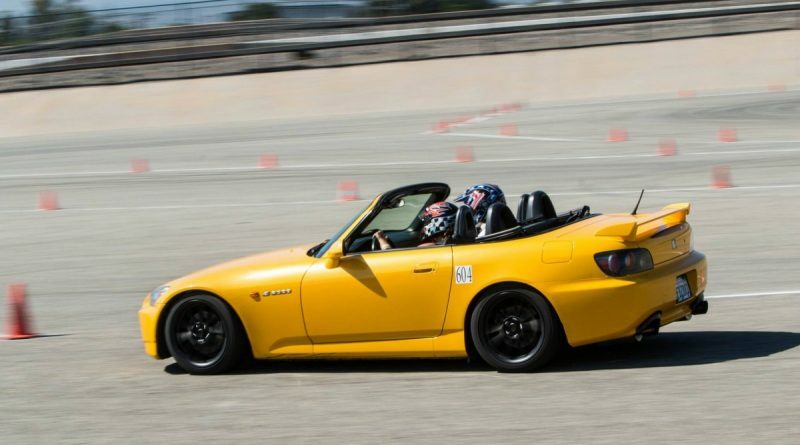 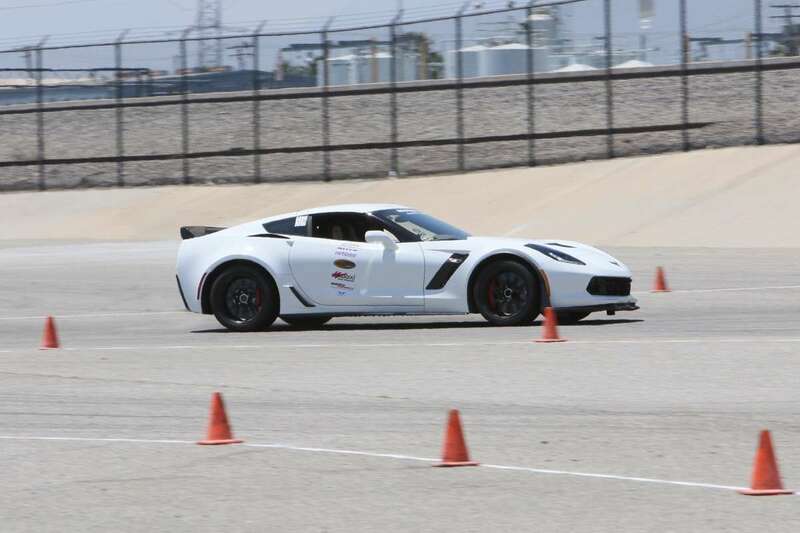 The event may seem like a distant memory but with a few key first ever accomplishments for an NMCA Hotchkis autocross, AutoXandTrack would be remiss not to provide coverage! 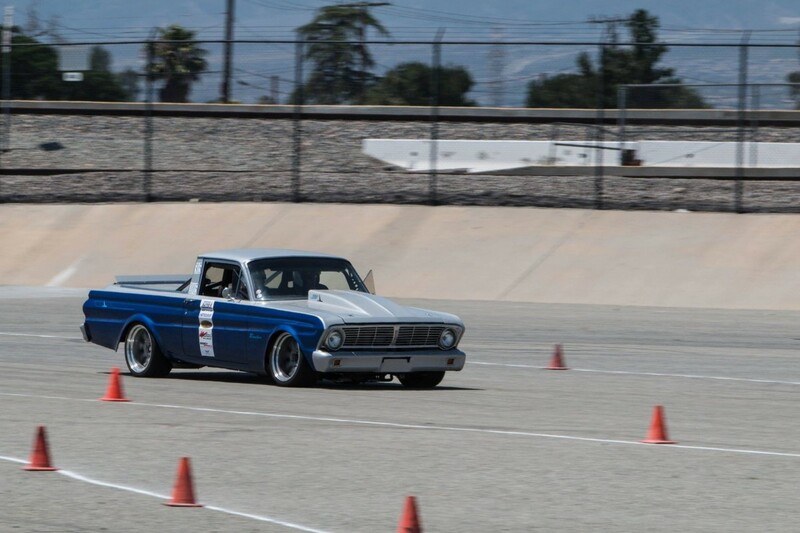 True to form, Fontana saw cool comfortable weather before and after the event. 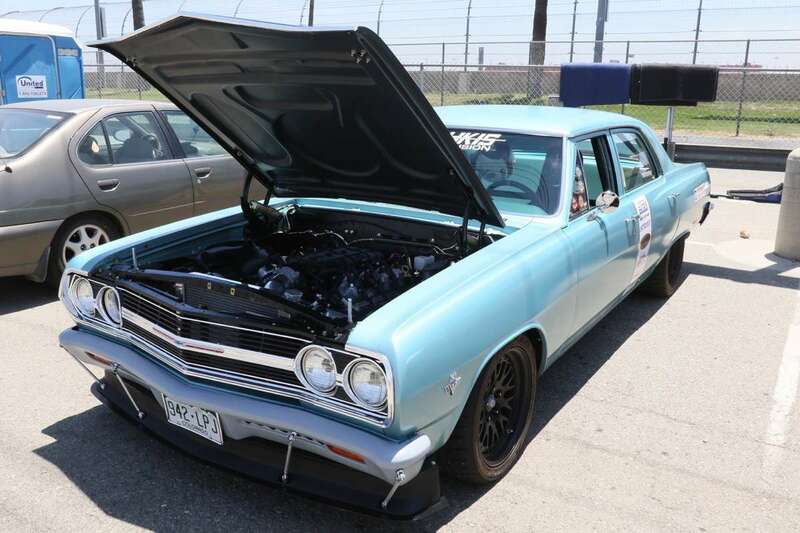 However, for the weekend we were “blessed” with a temperature spike into mid 90’s with hot and sunny conditions. 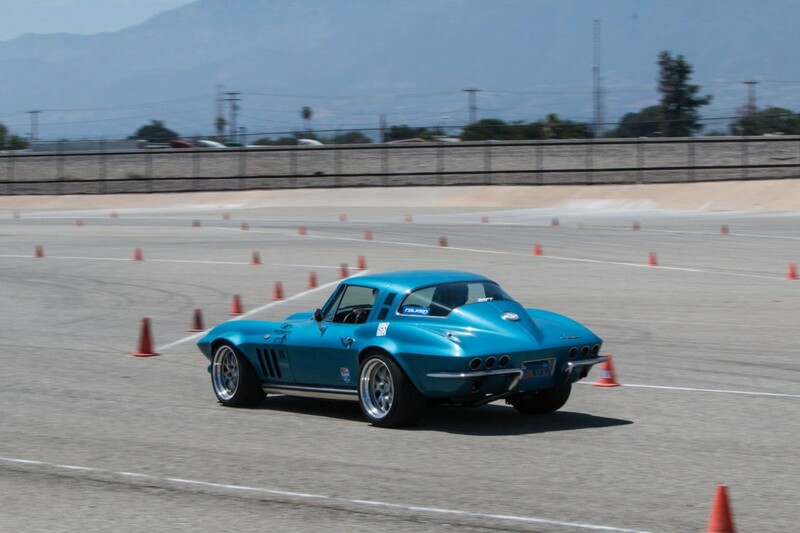 Two day entries and Saturday were both sold out and Sunday well attended so there was lots of autocross action all weekend long. 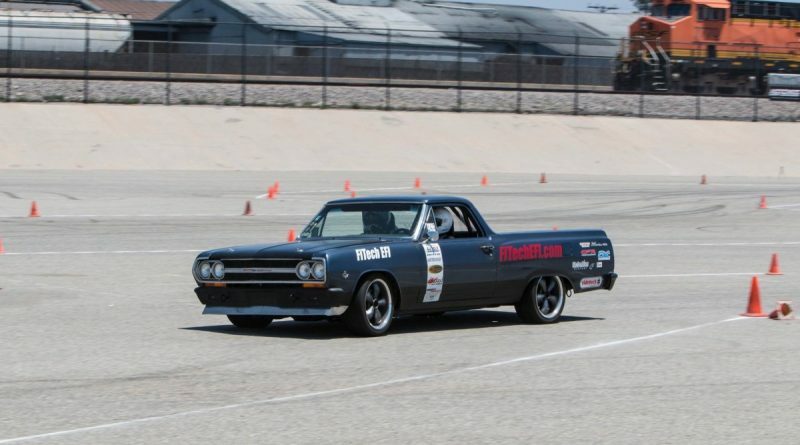 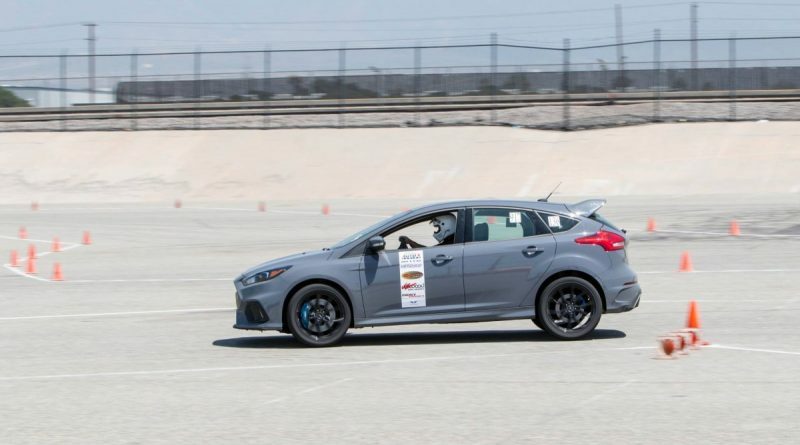 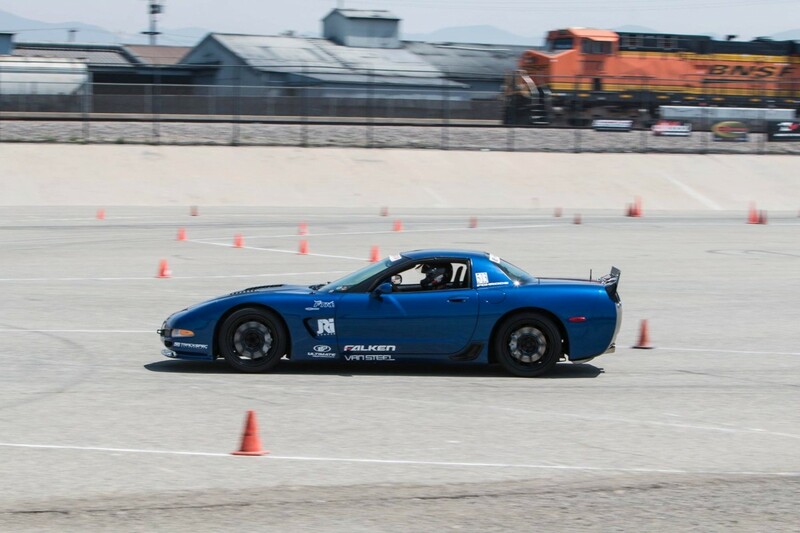 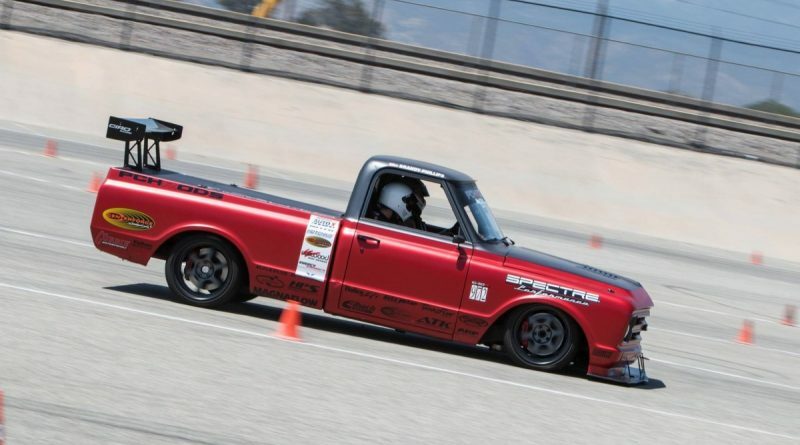 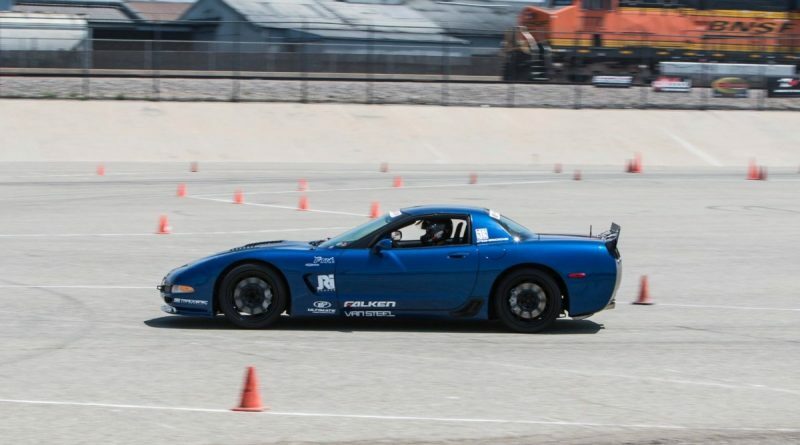 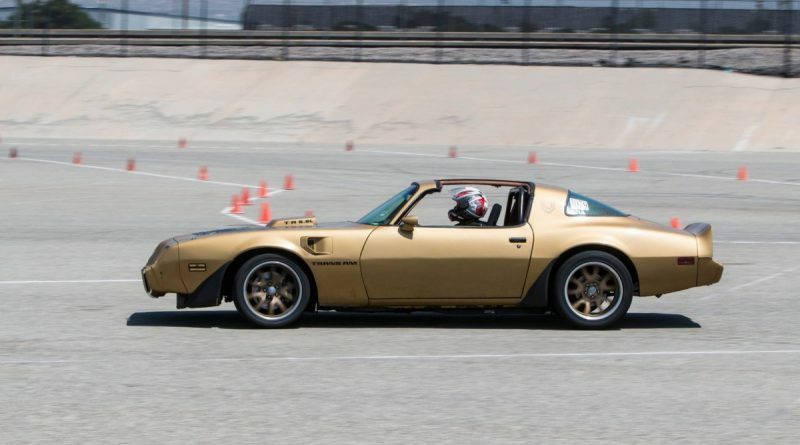 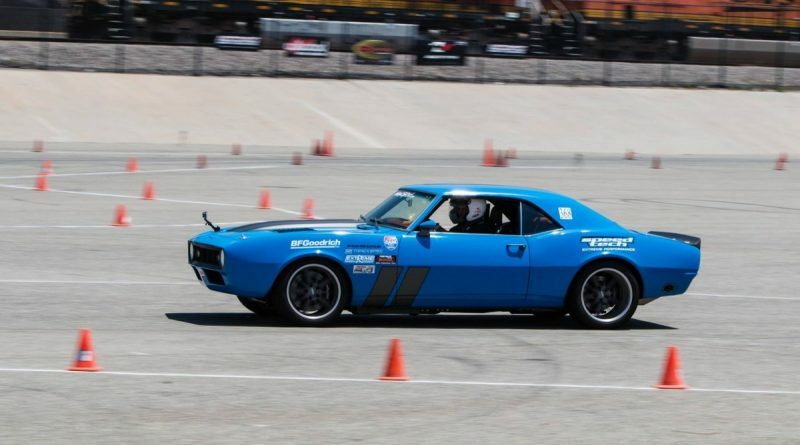 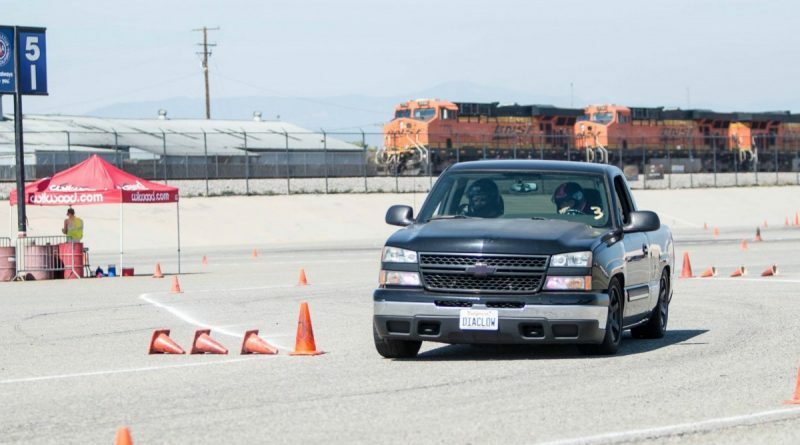 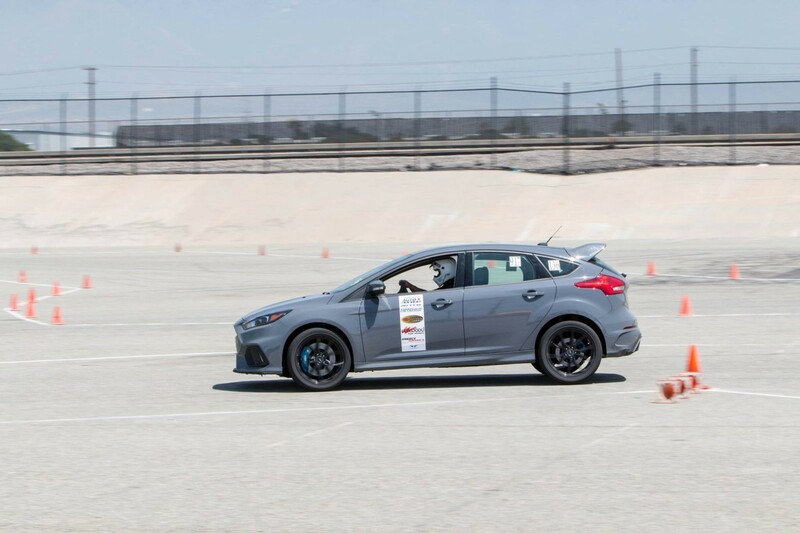 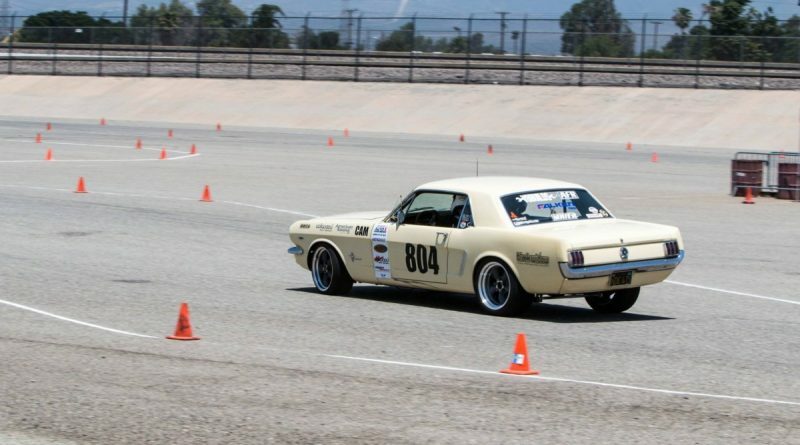 What is the NMCA West Hothckis Autocross? 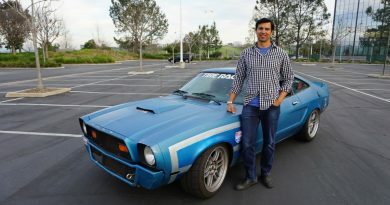 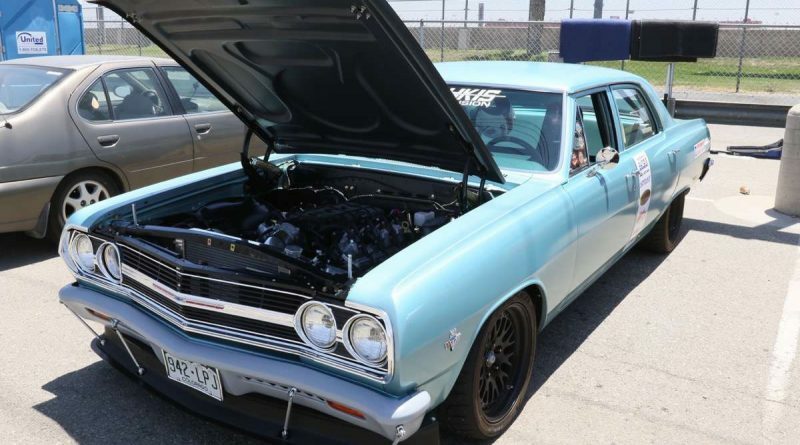 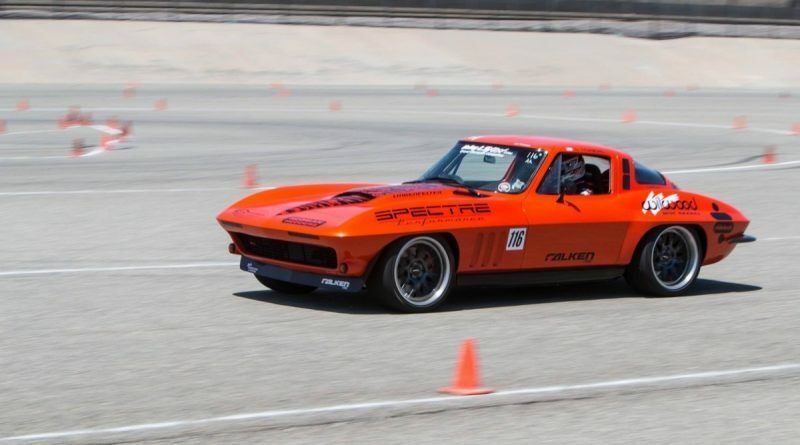 As a part of the National Muscle Car Association (NMCA) and with Hothckis as the title sponsor the event is heavily attended by V8 powered American muscle cars. 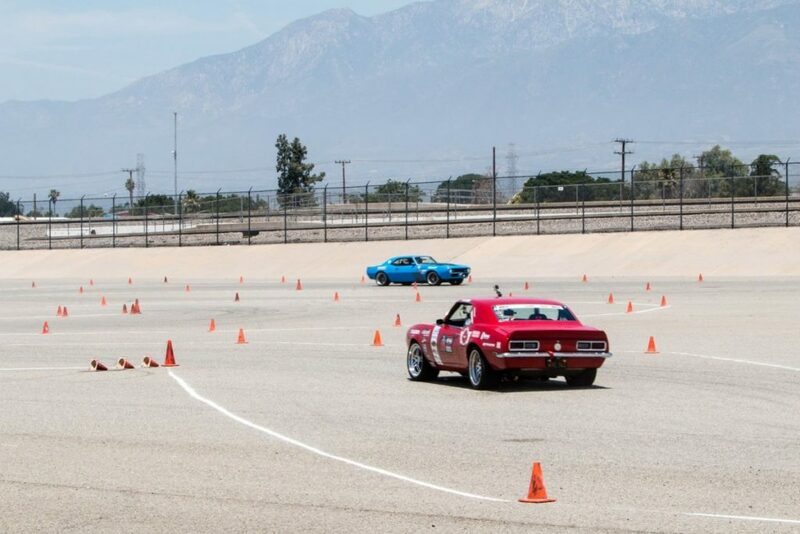 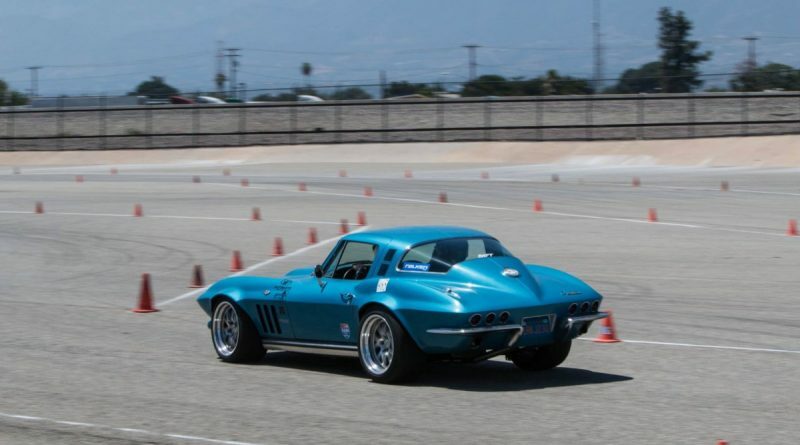 However, the autocross is open to cars of all types. Drivers can attend just one or both days and each day has separate awards and winners for each of the five classes. 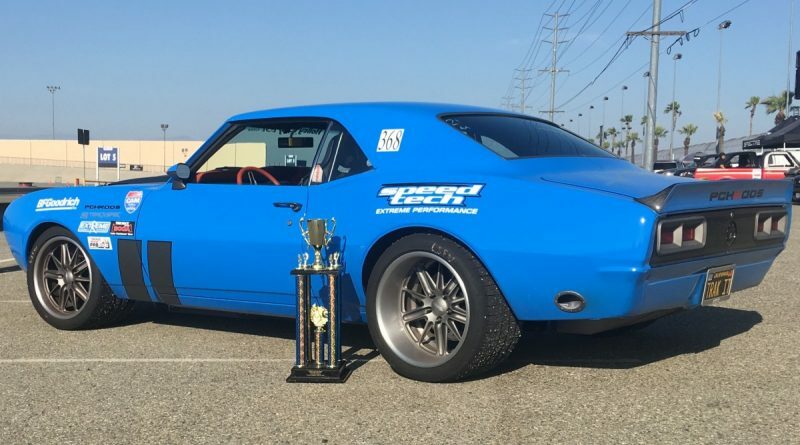 A Classic Muscle car takes the Hotchkis Cup! 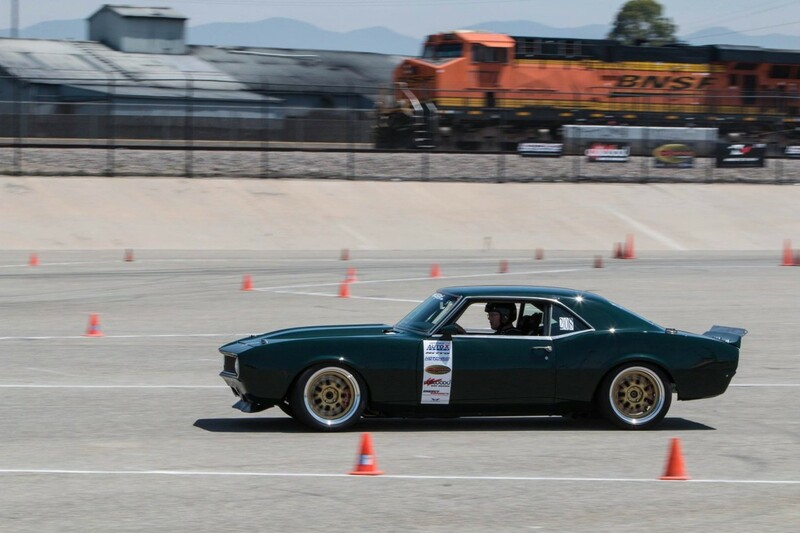 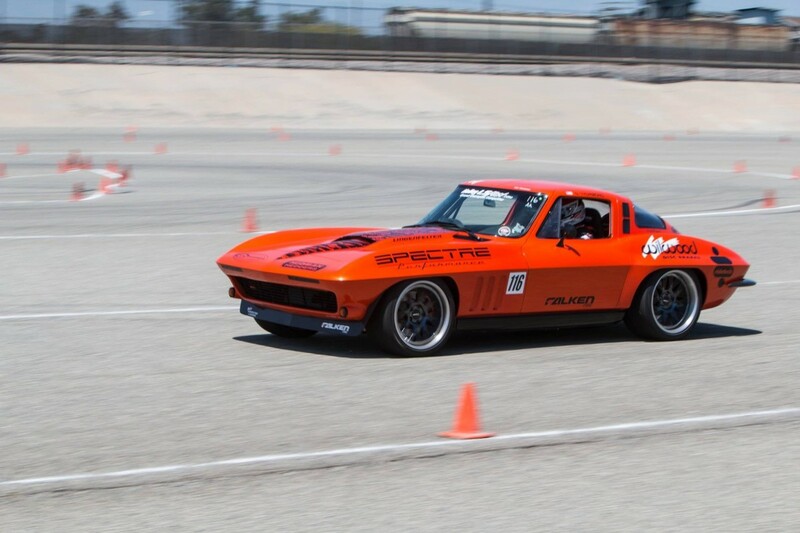 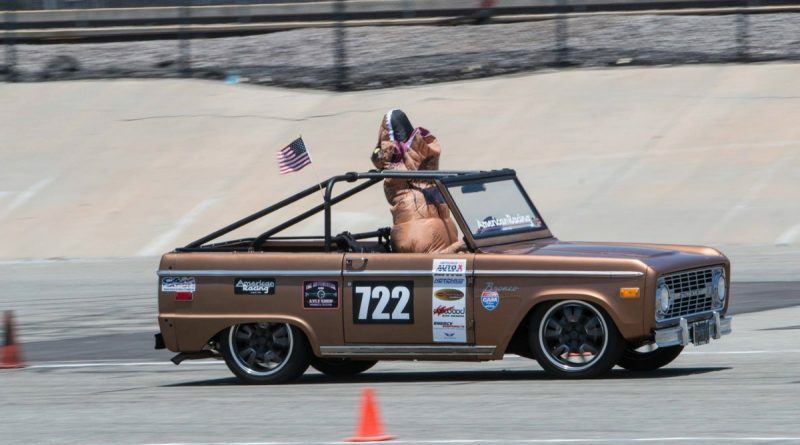 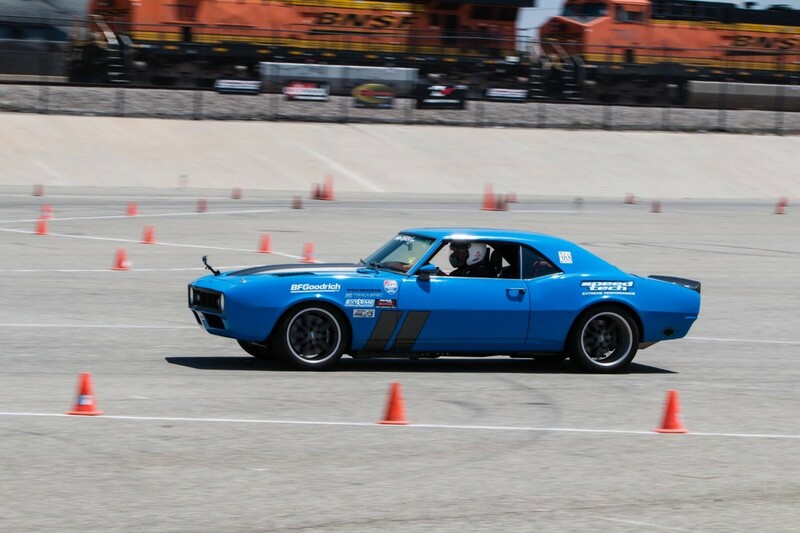 For the first time ever at the NMCA Hotchkis autocross, a car from the Classic Muscle class won the Hotchkis Cup. 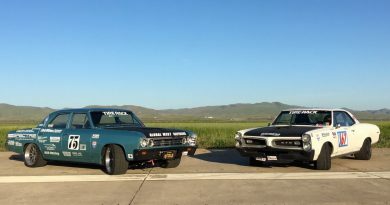 In fact, both the Hotchkis Cup and the runner up were Classic Muscle cars. 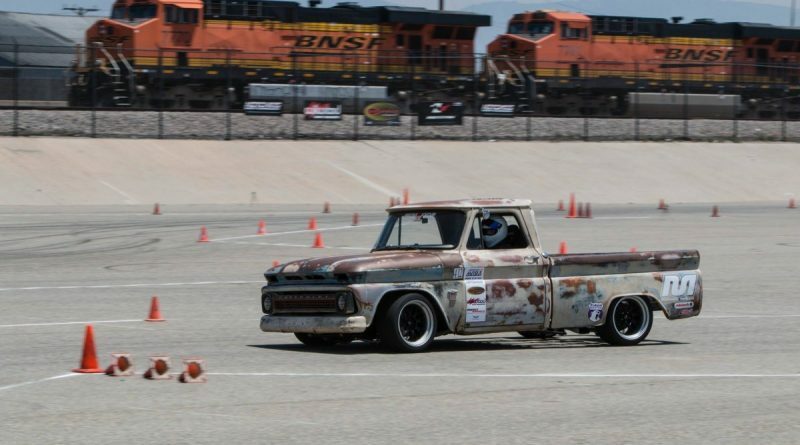 Another first ever, was how tight the spread was between the winner, Michael Cuthbertson, and the runner up, Chad Ryker. 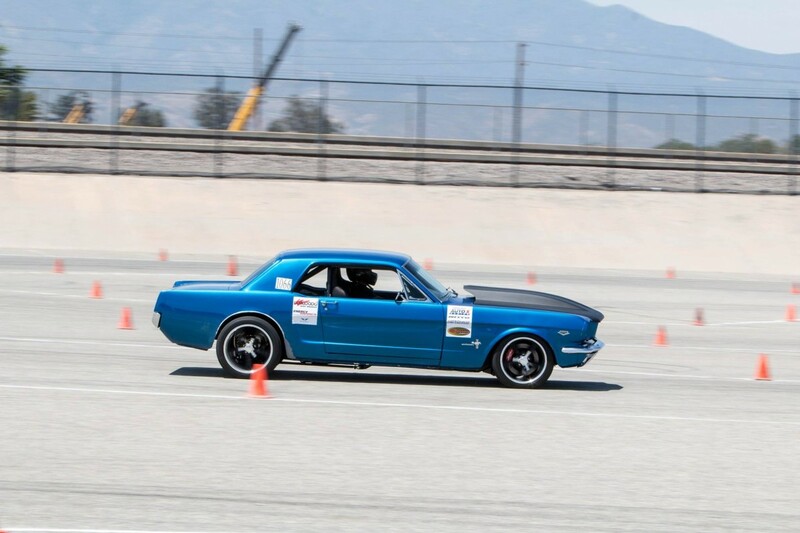 Both were driving their 1968 Camaros and after a combined 20 timed laps each and across two days of competition the gap between these competitor’s average was only 17 thousands of a second!! 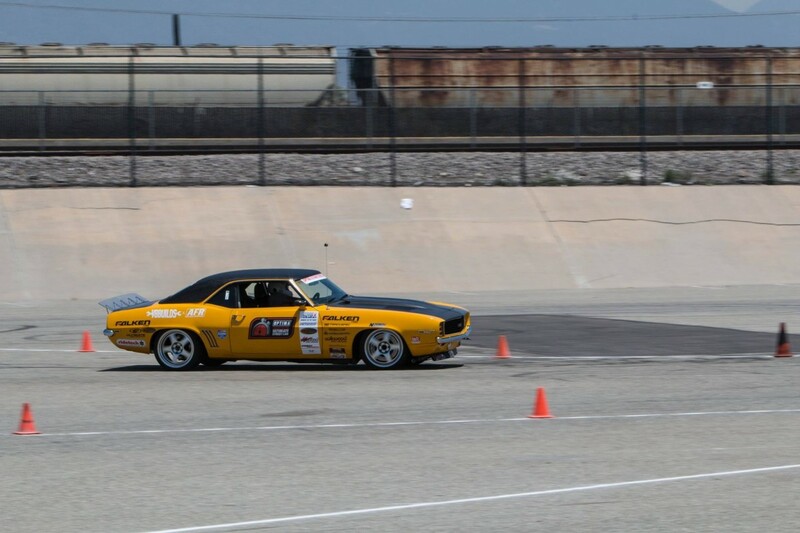 First ever Hothckis Cup winner from the CM class (background) and runner up (foreground) were separated by 17 thousands of a second after a combined 20 runs each. 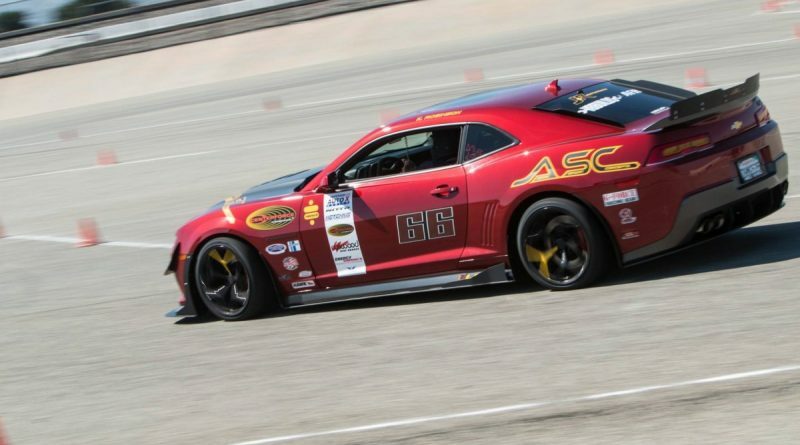 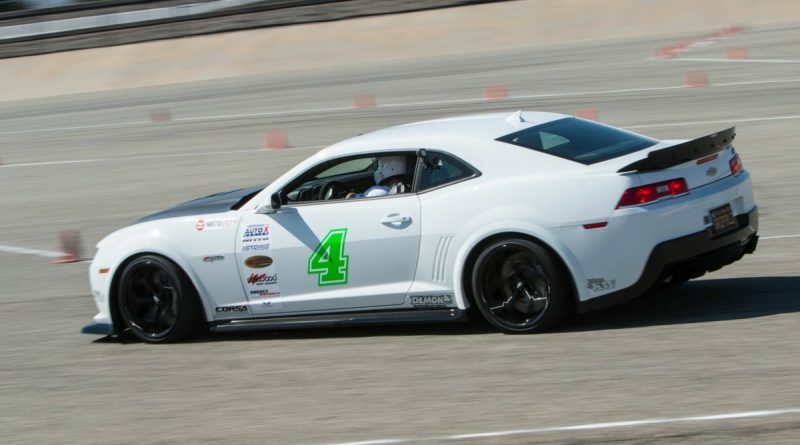 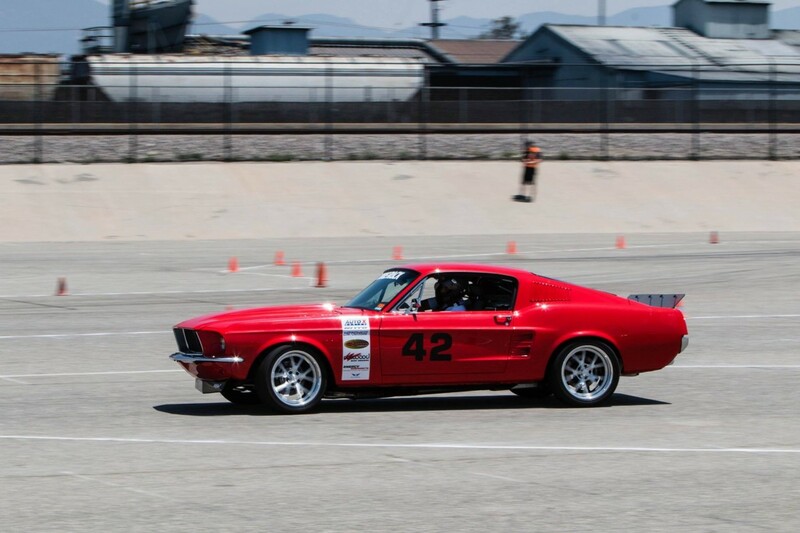 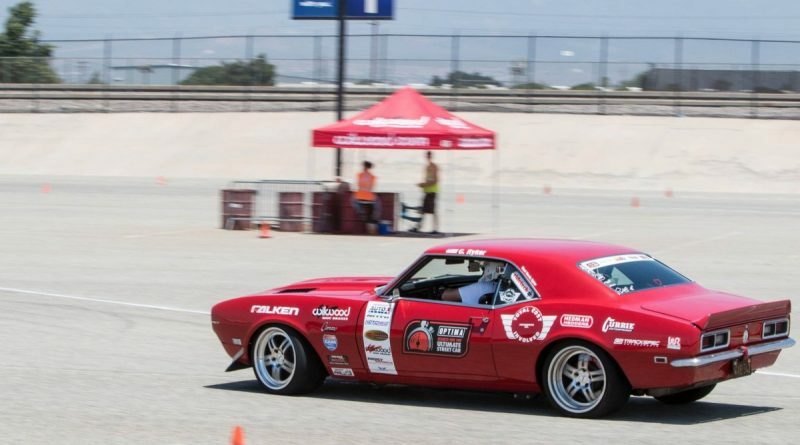 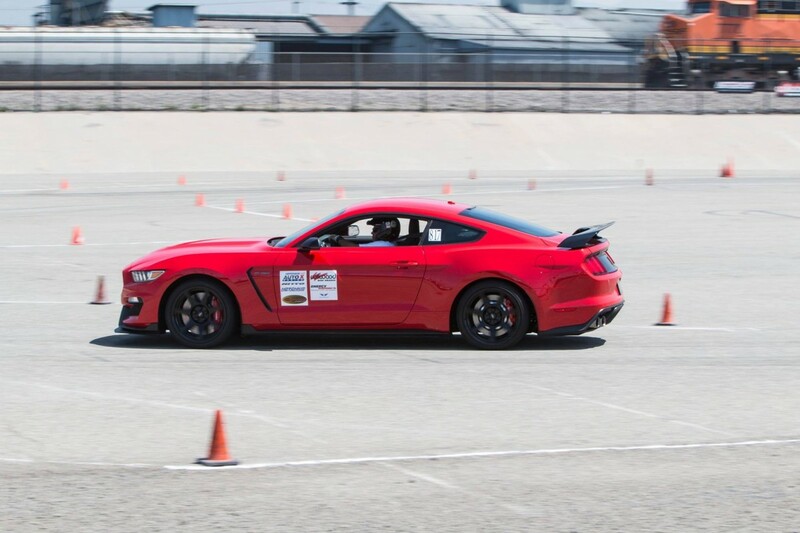 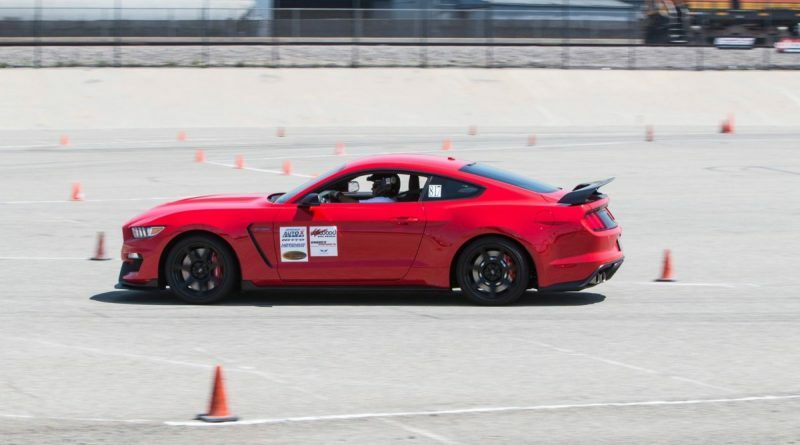 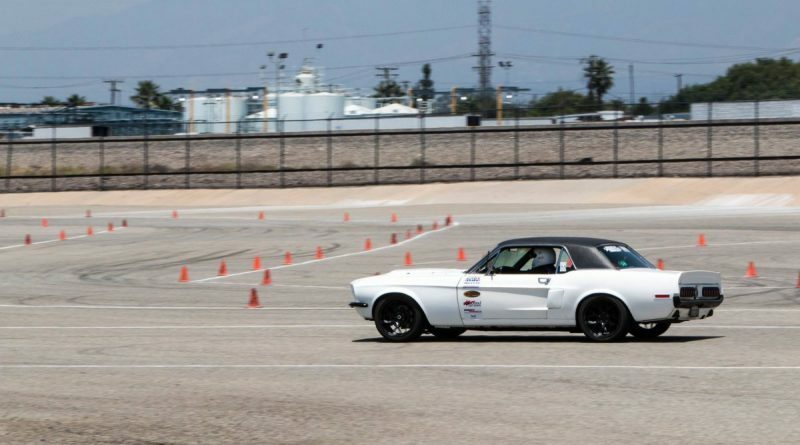 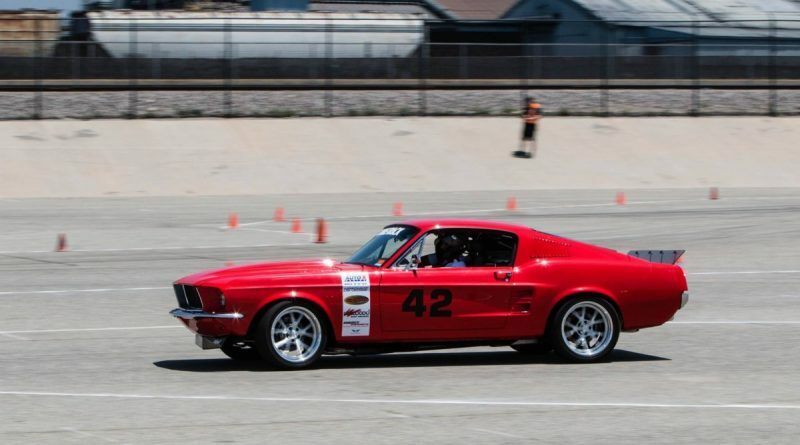 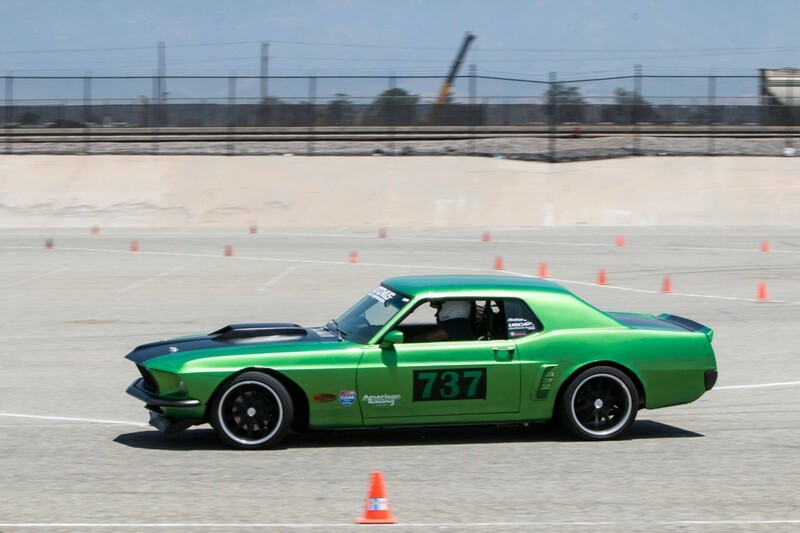 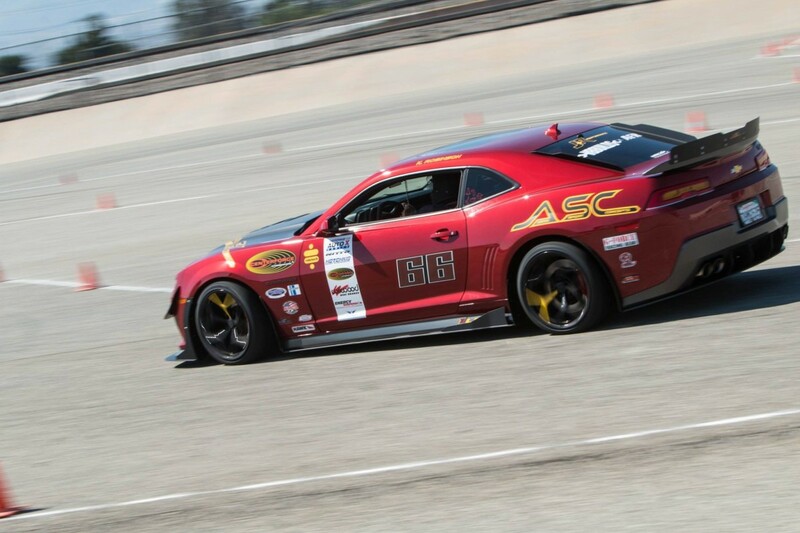 Another NMCA Hotchkis autocross first was Sunday’s podium sweep of Modern Muscle by Mustangs. 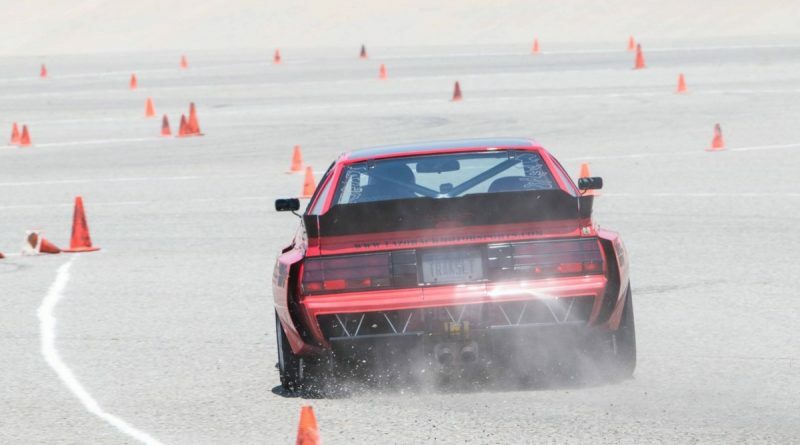 5th and 6th gen Camaros come out in large numbers for these events and this weekend was no exception with 14 Camaros and 5 Mustangs. 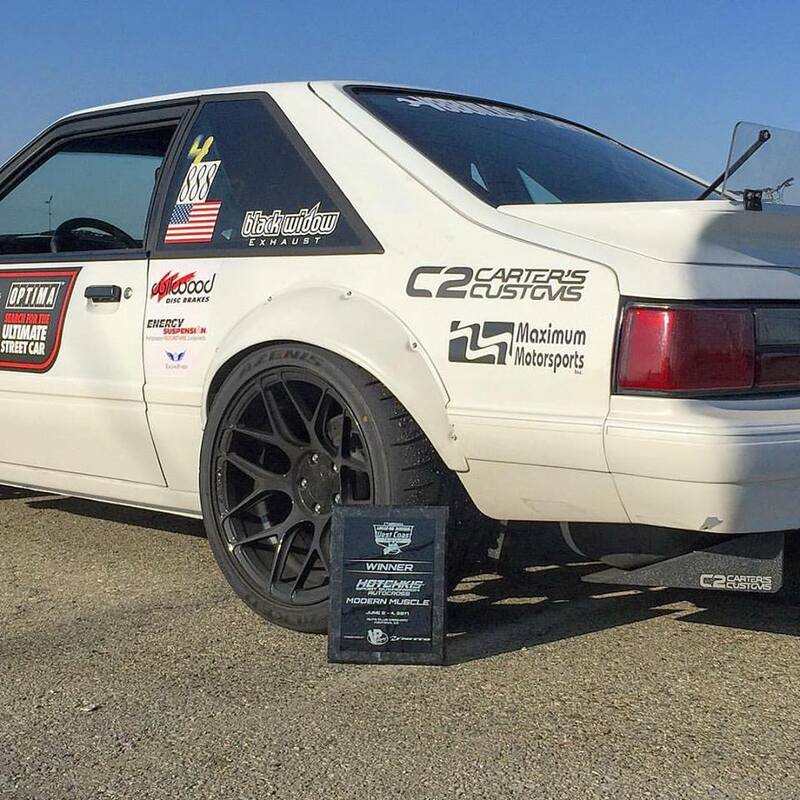 However, despite the numbers disadvantage not only did Mustangs sweep the podium but they were led by the AutoXandTrack featured Gregg Biddlingmeier’s Fox Body Mustang! 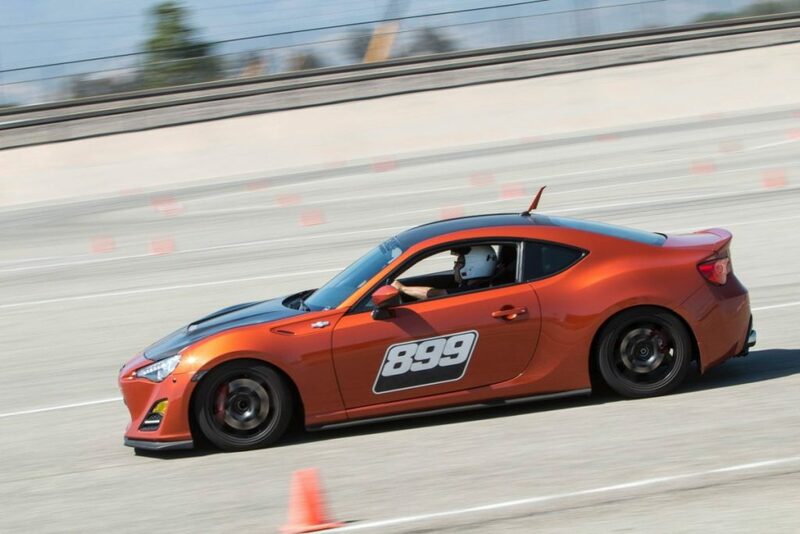 It wasn’t until Gregg’s 10th and final lap of the day that he finally improved over his first to drop over half a second and leapfrog into first place. 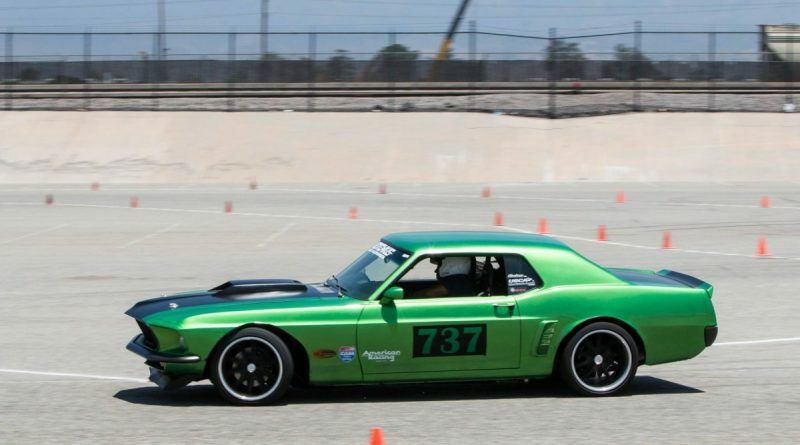 *If you are confused at seeing the same name multiple times in the same class. 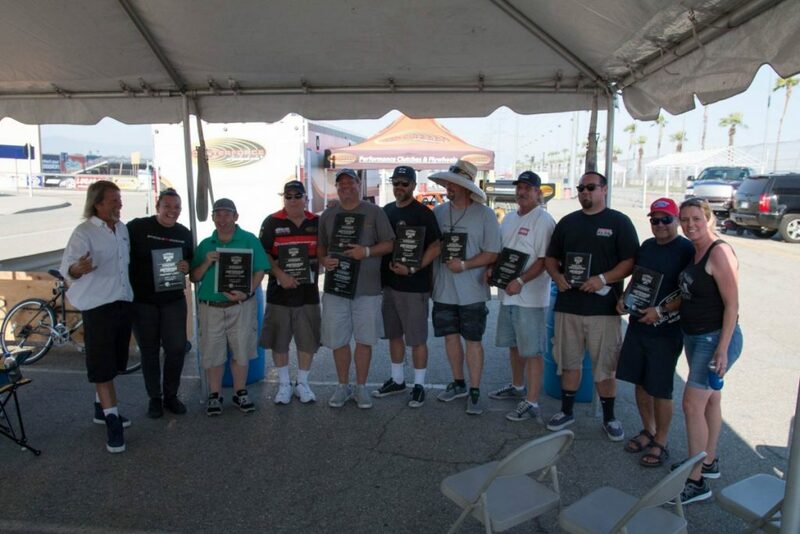 One thing that is unique to NMCA Hotchkis autocross is that you can buy multiple entries and remain eligible for awards. 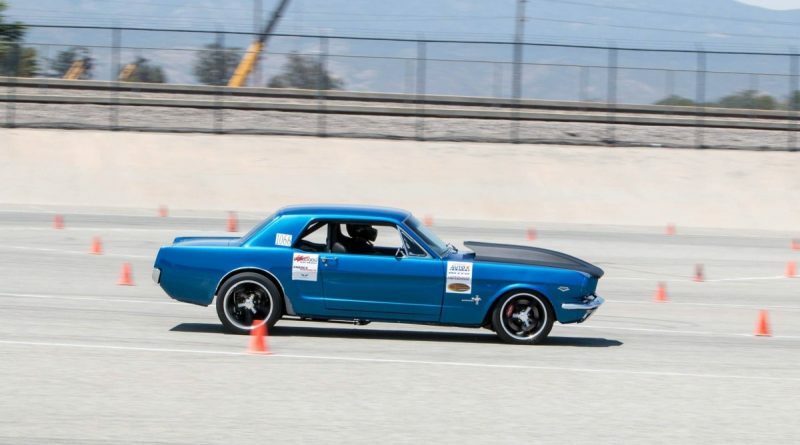 Yet, another first ever for this event was the purchase, delivery and competition of a brand new car! 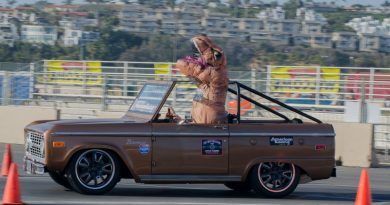 After some mechanical gremlins with one of their cars, one competitor called a nearby Ford dealer with a unique offer. 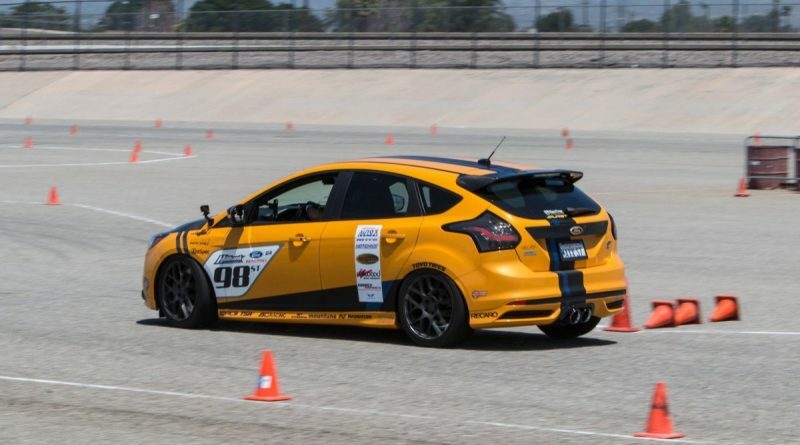 He would buy a new Ford Focus, right that minute as long as the dealer delivered it to the track in time. 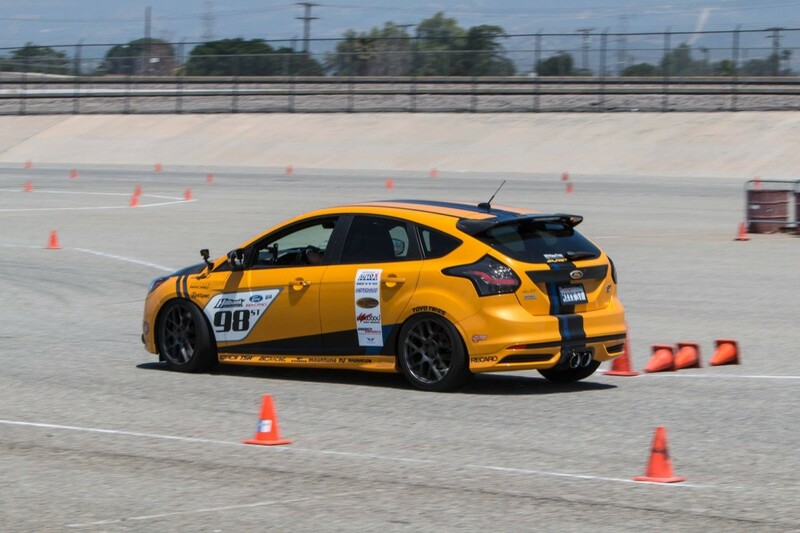 An hour or two later and this brand new Focus with practically no miles was out slaying cones! 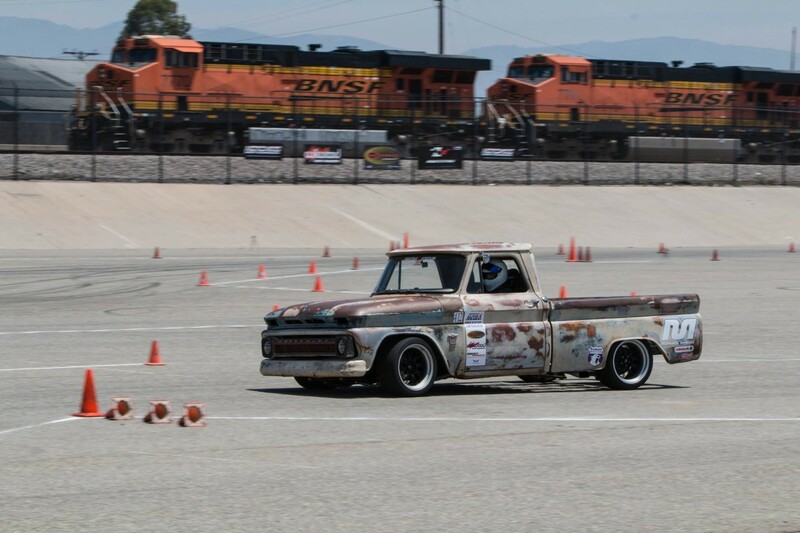 In addition to a different overall winner, the Truck class saw Claudia Robles take out her boyfriend Stephen Komlos! 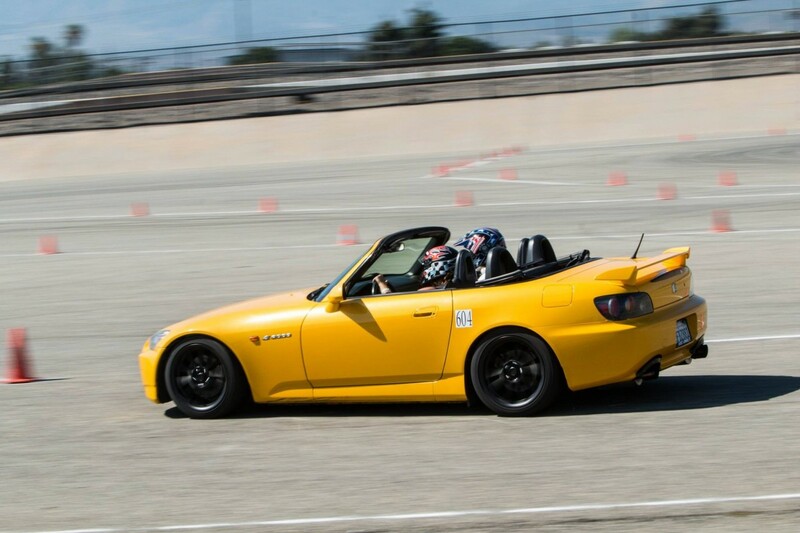 Its always fun to see couples competing and even better to see the women beating the men. 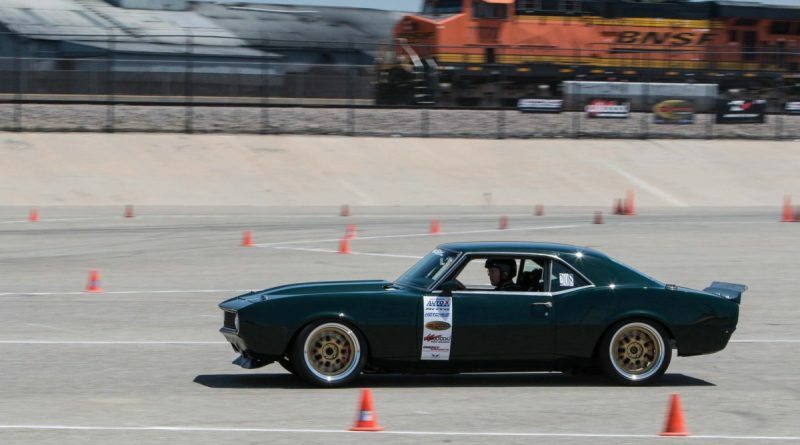 With two of four events completed Scot Spiewak is currently in the lead for the Hotchkis Cup Grand Champion. 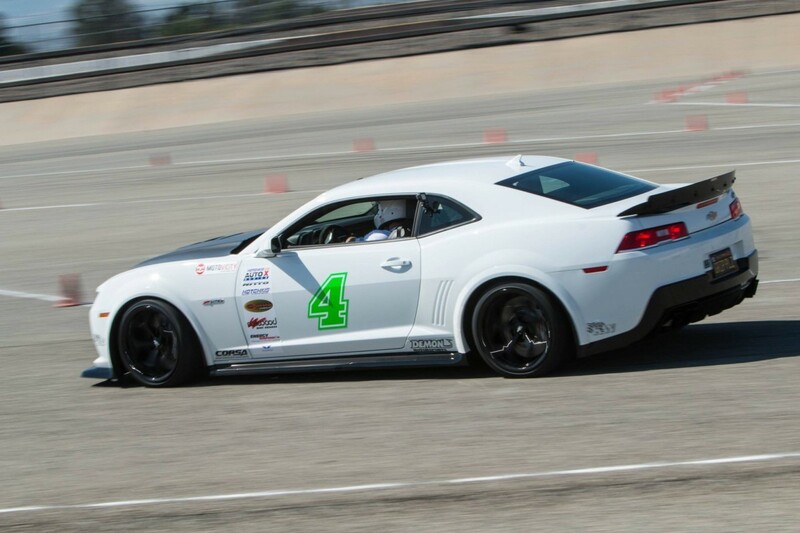 Though, his lead is a margin of one point and there are only 10 points separating the top 10 season points holders. 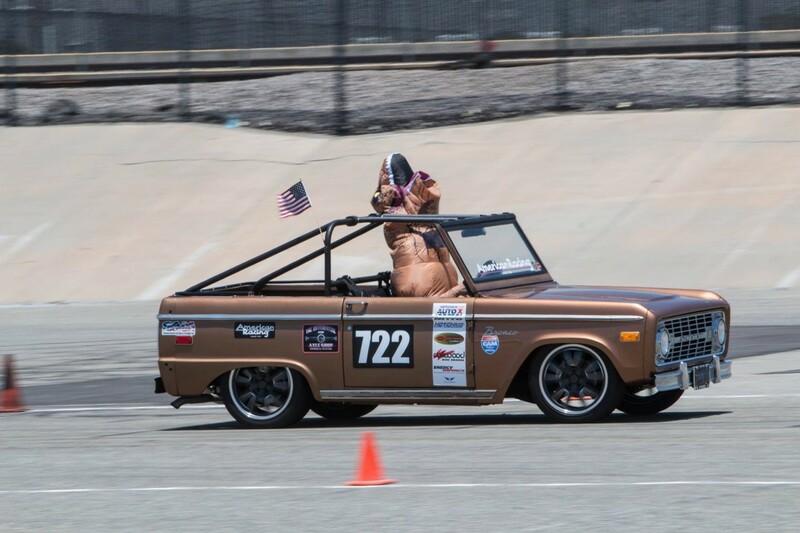 The Grand Champion competition is strong and still up for grabs! 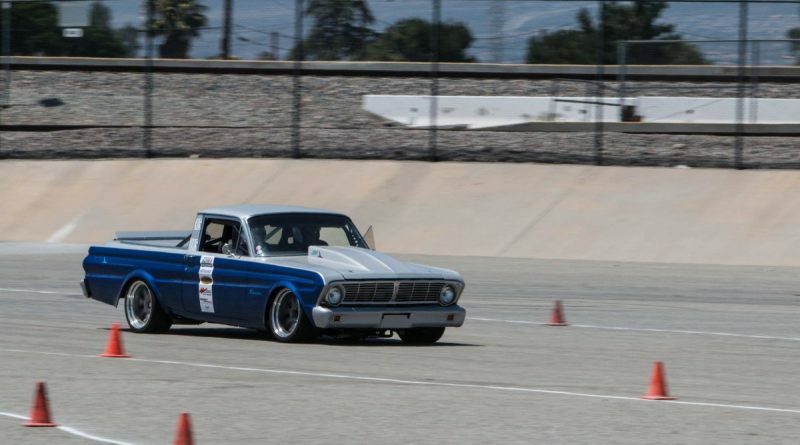 However, Scot isn’t sitting back either. 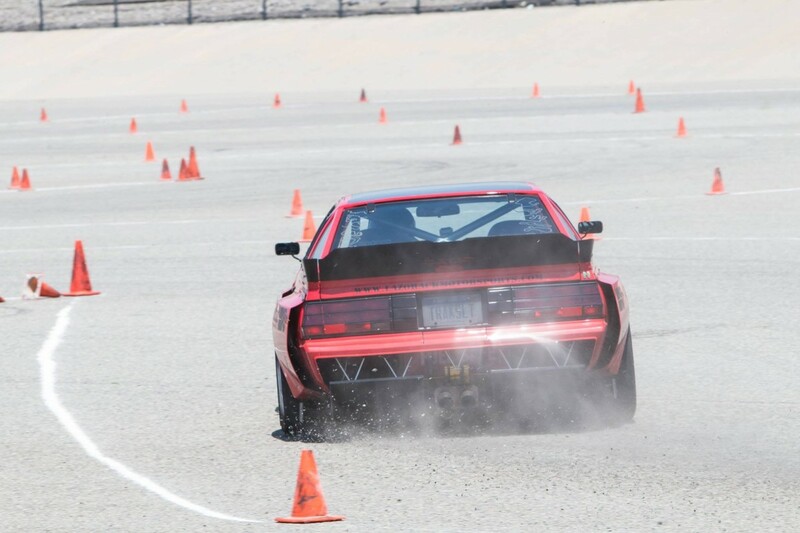 Rumors of significant upgrades in horsepower, aero, and handling goodies have been circulating. 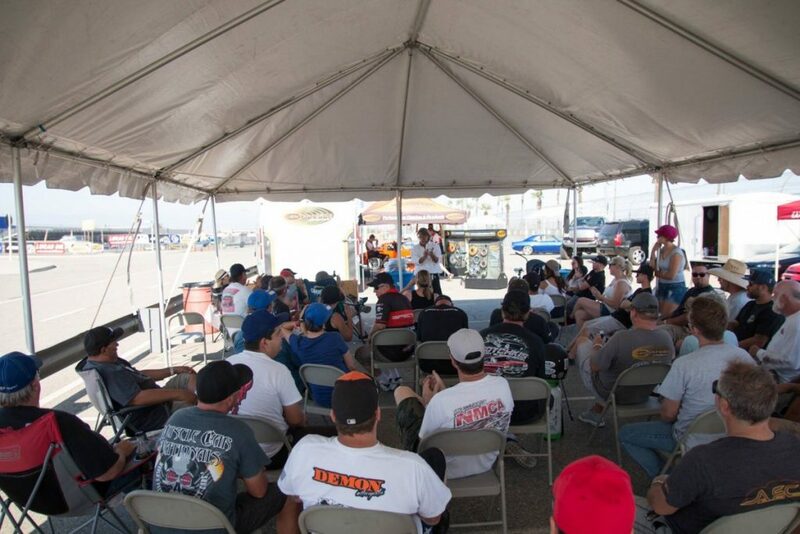 The next event is September 16-17 and tickets are already available here. 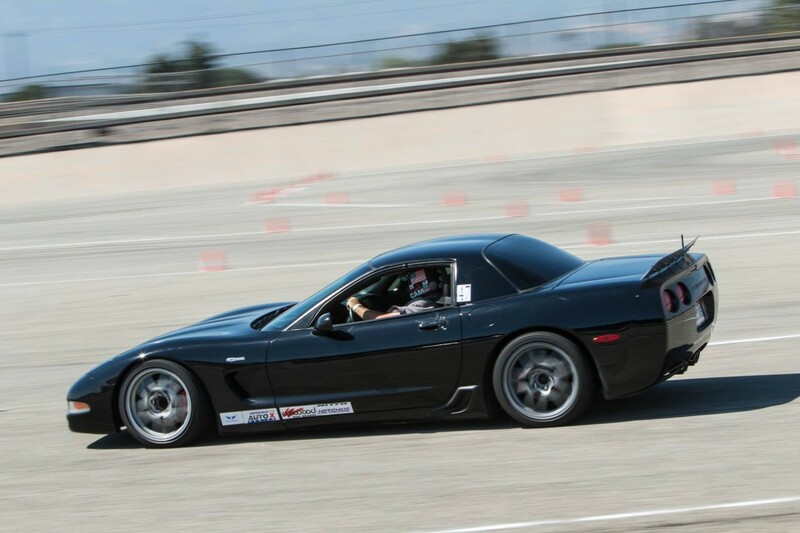 Primary Photography by fellow competitor, Claudia Robles.